Congress President Rahul Gandhi, accusing Modi government of pushing intolerance, said retrieving the 'idea of India', which is tolerant, will be the biggest challenge in the next Lok Sabha polls. 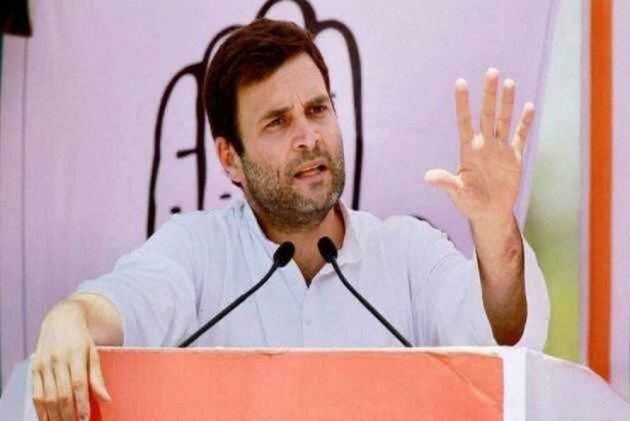 Congress President Rahul Gandhi on Saturday accusing the Narendra Modi government of pushing intolerance, said retrieving the 'idea of India', which is tolerant, will be the biggest challenge in the next Lok Sabha polls. Interacting with students at the IMT University, the Congress President also gave a glimpse of his vision vis-a-vis the future of India wherein he said that healthcare, air transport and agriculture were some of the key areas where Indian leadership would have to think "strategically" to transform them. "When someone asks me 'what do you mean by being an Indian', my response is that India has taught me to look at a point of view which is totally different from mine, which I might even dislike, yet I respect it," Gandhi said. "Tolerance is embedded in our culture. And it is quite sad to see what is going on back home in the last four-five years -- a lot of intolerance, anger, divisions between communities. I think it stems from the mentality of people who are leading. India generally tends to be tolerant. We need to go back to that because it is what has made us strong," he added. Gandhi, who is on a two-day visit to the United Arab Emirates (UAE), half-jokingly said that even though a separate Ministry of Tolerance was "not a bad idea", but it was not going to work as long as the leader at the top was unreceptive of a diverse viewpoint. "You realise its power when it is not there. That is what we are trying to fight and change. We don't like an India which is divided, an India where people are beaten up and killed for what they say, where journalists are shot dead. That's not the India we are used to. "That's the main challenge in the next elections. And a large number of people are not happy with what is going on," he said.